What’s better than one new Diamine ink? TEN of them! 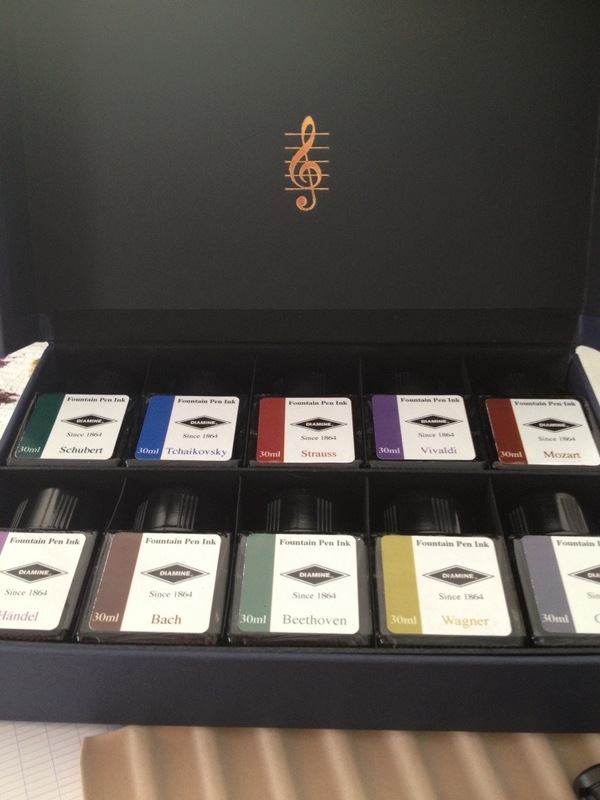 Yes, thanks to the wonderful people at Goulet Pens, my Diamine Music set arrived today! It took me about 1.4 milliseconds to open the box, ink up the nearest ten pens and get to writing! 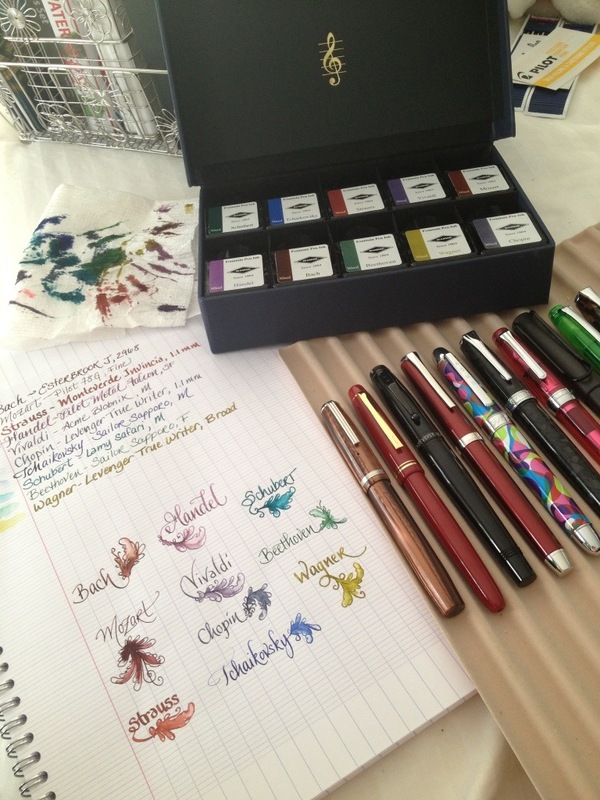 I will post more in-depth reviews on some of the inks in the coming days…but my first thoughts are: Beautiful set, FANTASTIC colors and (as expected) smooth, wet flow just like any other Diamine ink! Yes, if you do the math it is about $100 for $50 worth of ink. But this is some lovely ink! My only wish is that they’d sell “Handel” by the gallon! It’s beyond gorgeous! Hopefully, they will sell individual bottles sometime in the future. 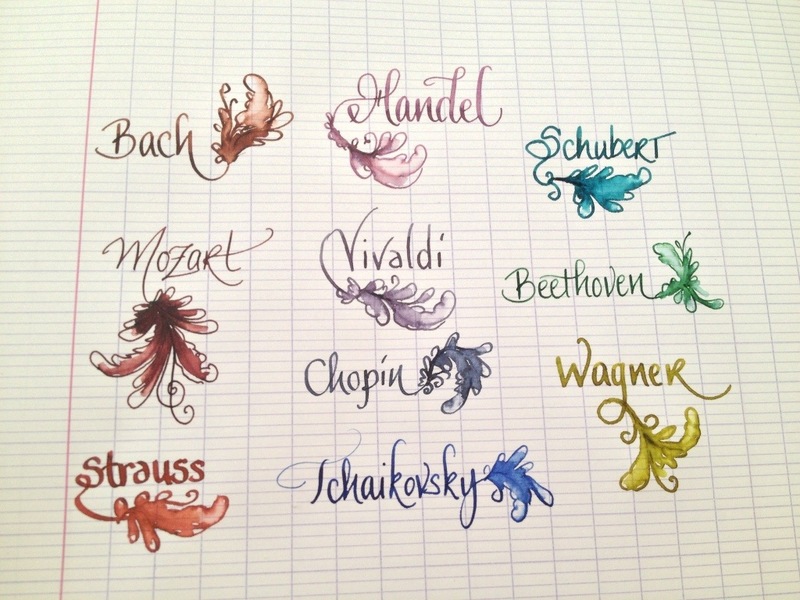 I could see myself going through the entire 30mL bottles of Handel, Wagner and Vivaldi very quickly! Did you get this set, too? I’d love to hear what you think of it! I just saw you post on the Drop Ink blog post of Goulet Pens. Love your blog. 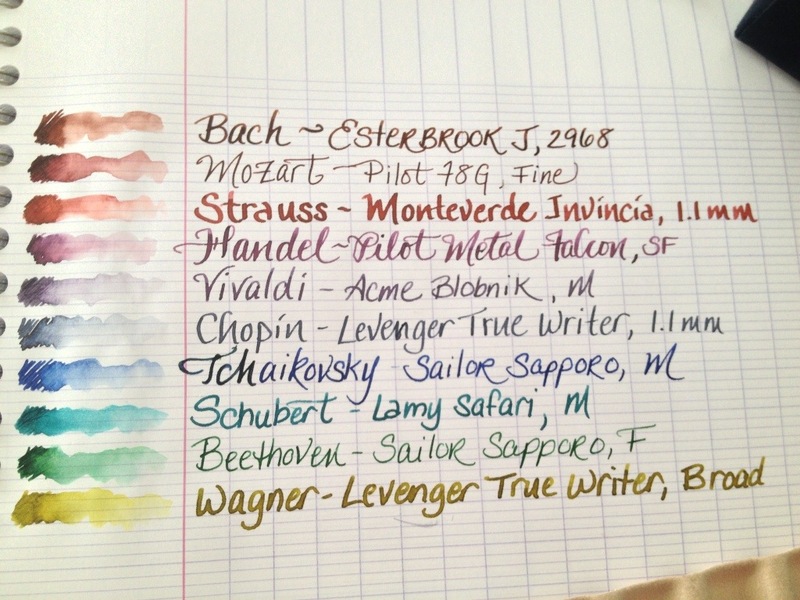 Lovely set of inks! I know you’re lying though on opening that box of inks in 1.4 milliseconds…I’ve opened their packages. They have a sadistic wrapper in their shipping department. ROFL!! !